Everyone in Knowsley has a right to live in safe and secure surroundings without fear of harassment or harm. Sadly, more about some of our more vulnerable residents can struggle to manage and may need some extra support, patient or may be being subjected by others to harm or abuse. You may notice changes in their behaviour, for example, they may forget where they live. Click here to download a booklet containing helpful local information of what to do if you think someone is being abused or neglected. 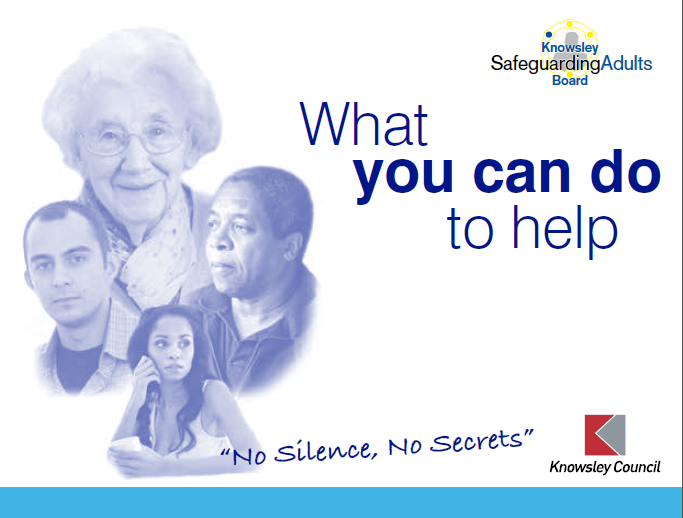 It’s important that you tell someone if you suspect that you, or an older person you know is being abused or neglected. You may be the only person who’s aware of it, and by telling someone you can help to stop it.